But a good green tea is characterized by being sweet and fresh as a glass of good white wine. And like white wine, green tea is not a unique beverage: various types of green tea can be found on the market, from economic varieties to premium qualities that are commercialized especially in Asia for very demanding palates. Related Article: 10 proven benefits of green tea. The green teas are made from leaves and sprouts. In general, they are much softer and lighter than blacks, but more intense and with more body than whites. The Orthodox green Teas offer a range of aromas and flavors, ranging from cooked vegetables, walnuts and almonds, to citrus and other fruits. Green tea is currently produced all over the world, but the best is still coming from China and Japan. Chinese green teas are softer, sweeter, aromatic and delicate than Japan’s and are characterized by lightness and subtle notes of cooked vegetables and toasted walnuts. Japanese green teas are more intense and astringent, predominating notes to raw vegetables, algae and lemon. Types of green tea and preparation methods. China and Japan are the best quality green tea producers, and to get to know a little more about the alternatives we mention the most frequent varieties that can be found in a tea shop. Water temperature at 75-80 degrees and 2 minutes of rest. Water temperature at 70-80 degrees and 1-2 minutes of rest. Water temperature at 60-65 degrees and 1-2 minutes of rest. Water temperature at 70-75 degrees and 20 to 30 seconds of rest. Water temperature at 70-75 degrees and 1-2 minutes of rest. 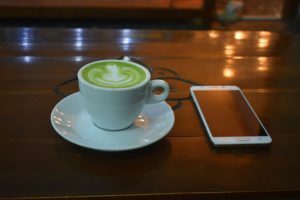 Related Article: 8 benefits of matcha green tea powder. Although the FDA recognizes green tea as safe, pregnant or lactating women should avoid it. Its caffeine content can cause sleep disturbances in babies and has been linked to disorders in iron metabolism and microcytic anemia of young children. People with heart problems, kidney disorders, stomach ulcers, and psychological disorders (especially anxiety) should not take it. If you drink too much, your caffeine content may cause insomnia and interference with other medications. Previous PostPrevious Different types of Black Tea. Next PostNext 4 Awesome Organic Fruit Teas.